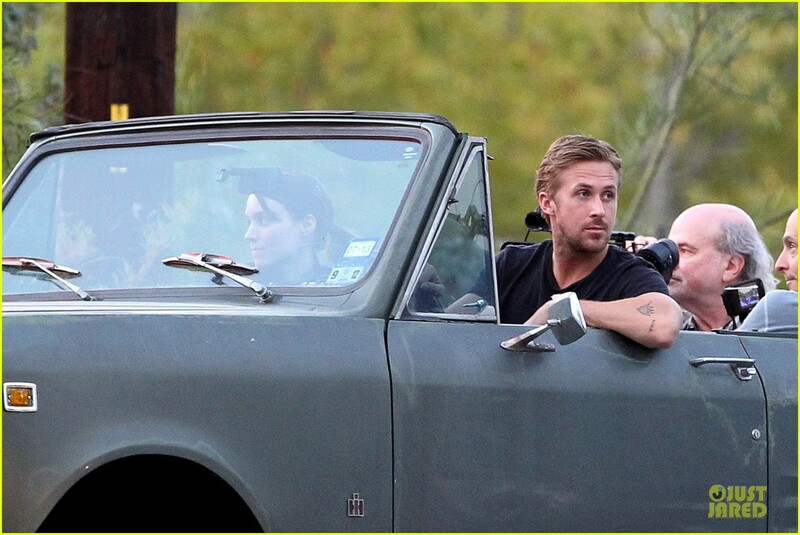 Ryan Gosling films scenes on a terrace in front of a lake with his co-star Rooney Mara for their upcoming Untitled Terrence Malick Project on Sunday (September 23) in Austin, Texas. The 31-year-old actor and 27-year-old actress took in some shade with umbrellas in-between takes and filmed at a nearby park with an acting dog. The day before, the duo was spotted filming a scene on a bridge overlooking a canal and also filmed a car scene in a vintage Scout II truck on the local streets in Austin. See all the pics at the source.